Pathology is the study of bodily fluids and tissues to determine or monitor medical conditions. Pathologists study different fluids and tissues and assist doctors in diagnosing medical conditions and diseases. A pathologist’s assistant is a highly skilled and trained professional who performs surgical procedures on various specimens, along with performing forensic and medicolegal autopsies. They are also in charge of anatomic pathology procedures under the direct supervision of a licensed pathologist. Pathologists’ assistants contribute to the efficiency of the laboratory procedures and the pathology practice, making them more cost-effective by performing tasks such as examining surgical specimens and carrying out autopsies. How to Become a Pathology Assistant? 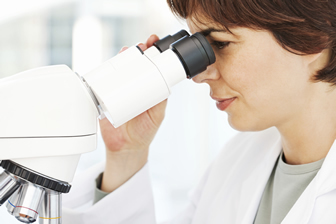 Search for pathology assistant programs online. There are nearly eight pathology assistant programs accredited by the NAACLS (National Accrediting Agency for Clinical Laboratory Sciences). Degrees in biological or allied health science, with courses in anatomy, physiology and microbiology will prepare you for this field. In addition, if a traditional, on-campus program is not a feasible option for you, you can always go for the online pathology assistant programs. Once you have fulfilled all the requirements for pathology assistant education, you will be prepared to take the pathologists’ assistant certification exam held under the American Society for Clinical Pathology (ASCP). An entry-level job usually requires a bachelor’s degree in medical technology, life science, or other pathology related field. From there onwards you can go on to pursue a master’s degree in pathology assisting, where you might be required to do clinical rounds and other forms of training. Education requirements are demanding and some colleges might even have minimum GPA requirement that students must maintain at all times. The American Society for Clinical Pathology (ASCP) offers nearly 20 professional certificates for pathologists’ assistants. State-wise requirements vary at times but typically they all include a combination of education, experience and training. This certification is sufficient for three years, after which, you will be required to renew it. Different pathologists’ assistant programs can lead up to these certifications, according to your preferences. Certification is not a requirement but may enhance your employment chances. These duties can be divided according to the specific job title. Some of these relate to surgical or autopsy pathology while others are more relevant to the administrative aspect of a pathology department in any healthcare institution. Forensic pathology is relatively different from traditional pathology. Individuals interested in pursuing a career in this field are recommended to understand the graphic nature and requirements of this job. As a forensic pathology assistant, you might have to deal with cadavers. Your primary job will revolve around crime scene victims and their bodies, either in whole or in parts. The foremost requirement therefore would be emotional strength and the ability to maintain calm while dealing with traumatizing crime scenes. As far as the educational requirements go, most forensic pathology assistants need a bachelor’s or a master’s degree in a science or medicine related field. Two-year programs are also available in some cases where students are required to study subjects such as biology, chemistry, and anatomy and laboratory science. In addition to the educational requirements, all forensic pathology assistants need to be certified as a Clinical Laboratory Scientist (CLS) as per the requirements of the American Association of Pathologists’ Assistants. The Bureau of Labor Statistics (BLS ) classifies pathology assistants as part of the medical and clinical laboratory technologists and technicians category. The entire category is expected to grow at 22% from 2012 to 2022, much faster than the average for all other occupations. The pathology assistant salary figure as per the BLS is $47,820. Speech language pathology is a branch of pathology that deals with the evaluation and treatment of children or adults who have difficulty with speech or language. There are several speech language pathology assistant programs available that offer courses relating to speech and hearing sciences. Pathology assistants are required to be very organized, particular and efficient. Attention to detail is considered a very important aspect of this profession. In addition to that, these individuals frequently deal with advanced technologies. For this purpose, you will need to make sure you are always up to date with the latest technology and are willing to learn about newer technologies. Keep in mind that these numbers relate to the job category of Medical and Clinical Laboratory Technologists and Technicians, which is very similar to pathology assistant in terms of its job description and requirements. Deductions have been made based on these similarities. Exact median salary and job growth figures may vary. Q:Tell me about accredited respiratory therapy programs online? A:Professionals from any field of medicine are in high demand in the job market so if your are thinking about enrolling in a Respiratory therapy program online it is a good decision for your future. However, before you go rushing to do so, make sure that whichever online school you are enrolling in is properly accredited by the governing authorities. Without accreditation the degree they might be awarding to you will not be acceptable all over the country and all the money you spent in getting that degree might go wasted. Here are some of the degree programs offered at respiratory therapy schools: Associates degree in respiratory therapy (A.A.S), Bachelor of Science in respiratory care, Master of Science in respiratory therapy and Respiratory advanced diploma program. Q:What are the courses taken in pathology assistant programs? A:A Pathologists' Assistant is an intensely trained professional who assists in providing services in anatomic pathology under the direction and supervision of an anatomic pathologist. The courses taken in pathology assistant masters programs include general pathology, systemic pathology, surgical pathology, autopsy pathology, physiology, structure and function (anatomy training), clinical pathology, and lab management. Q:What are the job opportunities after completing pathologist assistant programs? Q:Can you tell me how to become a pathology assistant? A:A pathology assistant is a highly trained professional who provides services in anatomic pathology under the supervision of a pathologist. In order to become a pathology assistant, candidates must enroll in a The Pathologists' Assistant Program accredited by the NAACLS. After completing the program, students earn a Master of Science degree and are eligible to take the American Society of Clinical Pathology (ASCP) certification examination. After a successful passing of this exam, graduates will be able to identify themselves as a Pathology Assistant, PA (ASCP). Q:How can I become a pathology physician assistant? A:In order to become a pathology physicians' assistant, candidates must satisfy a number of educational requirements. As a trained healthcare professional, these individuals must complete a bachelor's degree in one of the life sciences (i.e. biology or chemistry) and then an accredited pathologist's assistant training program. Candidates must then be certified through the American Society for Clinical Pathology (ASCP) as a Pathologists' Assistant, or PA (ASCP). Q:What is pathology assistant certification? A:Pathology assistant certification is intended to confer national recognition of the professional status of pathologists' assistants. Many employers require applicants to have certification from the American Society for Clinical Pathology (ASCP). This organization offers nearly 20 professional certificates for pathologists' assistants. Certification is sufficient for three years, after which, you will be required to renew it by demonstrating sufficient continuing medical education to maintain certification.. To earn the PA (ASCP) designation, an individual must graduate from a NAACLS-accredited pathologists' assistant training program and subsequently pass the ASCP board of certification examination. Q:What does a speech language pathology assistant do? A:A speech-language pathology assistant is someone who helps a speech-language pathologist carry out their work. Their task is to help speech pathologists in order to increase efficiency and allocation of resources. Certified speech pathologist may then focus more on providing the professional-level clinical services (i.e., those that require ongoing clinical judgment) and their assistants may carry out routine day-to-day operational activities. Q:Can you tell me about speech language pathology assistant programs? A:The educational requirements for a SLP assistant may vary from state to state. However, ASHA recommends candidates complete at least an associate's degree program. Degrees in biological or allied health science, with courses in anatomy, physiology and microbiology are recommended to be taken. Typical coursework in these programs usually also covers everything from communication disorders, workplace behaviors, and normal communication processes. Following the completion of your degree, you must undergo training and supervision by SLPs who hold ASHA's Certificate of Clinical Competence (CCC) in Speech-Language Pathology. Q:How will I get hands on training in pathology assistant programs online? A:Depending upon the school you have enrolled in, you may be required to attend training classes at the campus. Many schools follow a hybrid format for online programs. In such programs, the theoretical portion of the degree is covered online while the training sessions are conducted at the campus. It is recommended that you seek further information from the prospective schools. Q:What will pathology masters programs cover? A:A graduate program in the field of pathology will equip students with skills and an in-depth understanding of mechanisms of diseases, management of diseases, and clinical training. The program will include a range of theory-based courses, practical courses, and research projects. Some of the important areas covered in research are: Neuropathology, vascular biology, immunopathology, and infectious diseases. Q:What are some of the courses that schools for pathology offer? A:Pathology is the study of bodily fluids and tissue in order to monitor the health of patients. In order to become a pathologist or pathology assistant, a degree in medical technology, life science, or another pathology related field is needed. Some of the courses that students can expect to take include biology, microbiology, anatomy, and physiology.